From its inception, the Robert Wood Johnson Foundation (RWJF) has been driven by a continuous cycle of research, evaluation and learning. The foundation's four signature research programs—Evidence for Action, Policies for Action, Systems for Action, and Health Data for Action—examine the factors necessary to build a Culture of Health by supporting research about what works to improve population health and health equity. Evidence for Action: Investigator-Initiated Research to Build a Culture of Health is a national program of RWJF, based at the University of California, San Francisco, that supports the Foundation’s commitment to building a Culture of Health in the United States. The program aims to provide individuals, organizations, communities, policymakers, and researchers with the empirical evidence needed to address the key determinants of health encompassed in the Culture of Health Action Framework. Systems for Action: Systems and Services Research to Build a Culture of Health (S4A) is a national program of RWJF based at the University of Kentucky College of Public Health. S4A aims to discover and apply new evidence about ways of aligning the delivery and financing systems that support a Culture of Health. S4A seeks to identify system-level strategies for enhancing the reach, quality, efficiency, and equity of services and supports that promote health and well-being on a population-wide basis. S4A builds on its work and experience as the RWJF National Coordinating Center for Public Health Services and Systems Research and Public Health Practice-Based Research Networks. Health Data For Action: Leveraging Health Data for Actionable Insights (HD4A) is a national program of RWJF, based at AcademyHealth. It equips researchers with valuable data—information that can help them better answer questions that build a Culture of Health. HD4A aims to reduce the barriers often faced by researchers who want to access rich data by serving as a conduit between data owners and interested researchers. 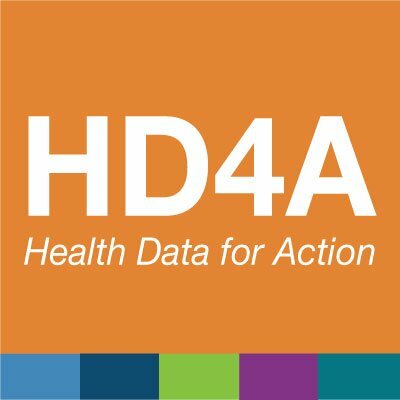 Through each HD4A funding opportunity, RWJF will make data from unique data owners available to researchers.